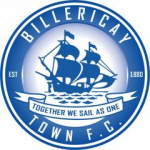 BILLERICAY TOWN FC need you to get down to our game against GLOUCESTER CITY and support both our club and Prostate Cancer UK on Saturday 13th October. The leading men’s health charity are proud to be the official charity partner of Non-League Day for a 5th year. 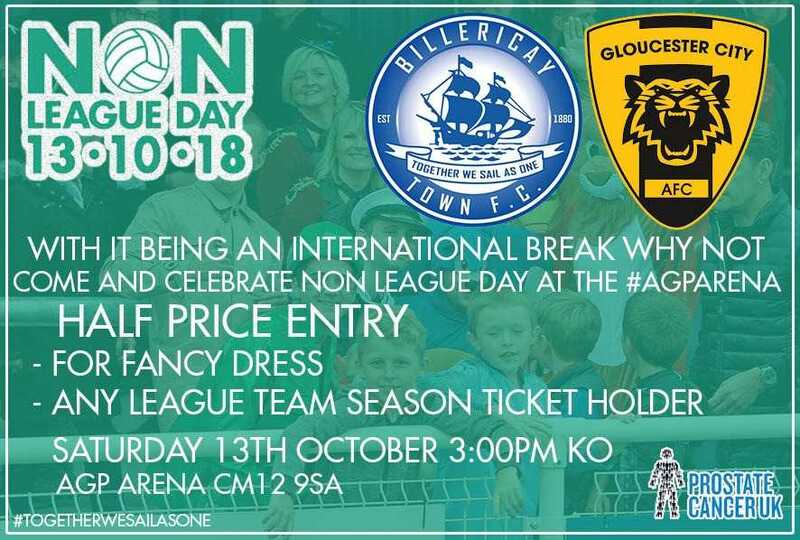 This is a fantastic opportunity to celebrate Non-League football as well as raise awareness and funds of a disease that kills one man every 45 minutes. By supporting us on Non-League Day you can help make a difference as we aim to change the game for men and their families on a day full of fundraising activity. Since September, Vanarama – the van hire firm and title sponsor of the National League has changed its name to Manarama and has pledged to donate £50 to Prostate Cancer UK for every lease before Non-League Day. Text BADGE to 70004 to donate £5 to help stop prostate cancer being a killer (and get your own Prostate Cancer UK Man of Men badge to wear with pride).